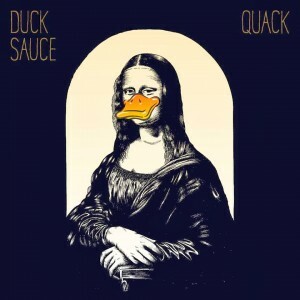 Having already wrapped Aussie audiences around their little webbed pinkies with their club stormers ‘Barbra Streisand’ and to a lesser extent ‘It’s You’, New York EDM superstars A-Trak and Armand Van Helden (aka Duck Sauce) will release their debut album ‘Quack’ in the middle of April. The album, with the exception of their 2011 track ‘Big Bad Wolf’, brings together all the singles since their 2009 debut ‘aNYway’ and features the gents’ trademark funky basslines, disco sensibilities and “euphoric loops”, along with their always underlying sense of fun and humour. Look for it at your local retailer from Friday April 18. Let’s hope it’s all it’s quacked up to be.